5. 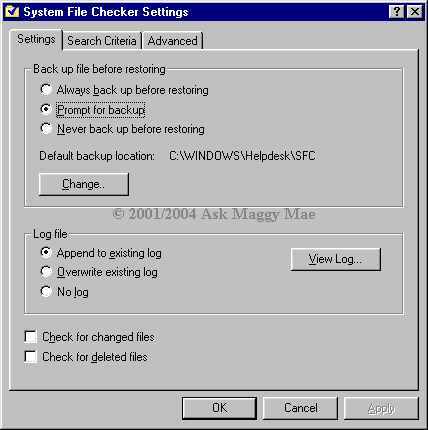 Make sure that under settings it is set for Prompt for backup as shown below. 7. 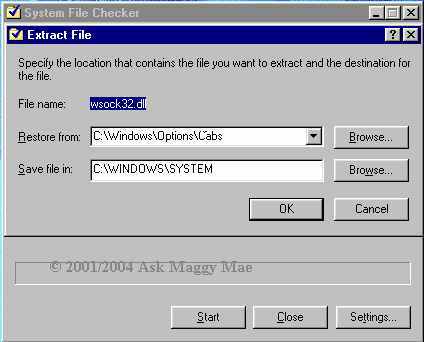 Click start and you will be prompted by a new window asking where to Restore from and where to save the file to as below. 8. 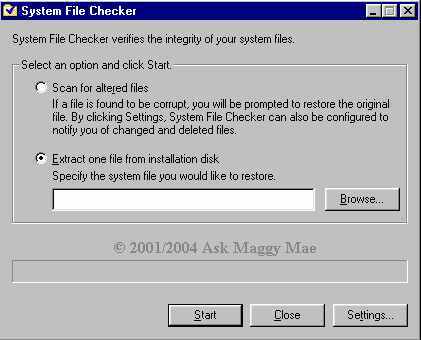 After finding where the file is to be extracted from and saved to click OK and you will be prompted on where to backup the File you will be restoring. Just leave it with the default of C:\WINDOWS\Helpdesk\SFC and click OK.
9. You will then be told that the backup folder doesn't exist and do you want to create it, choose yes. 10. 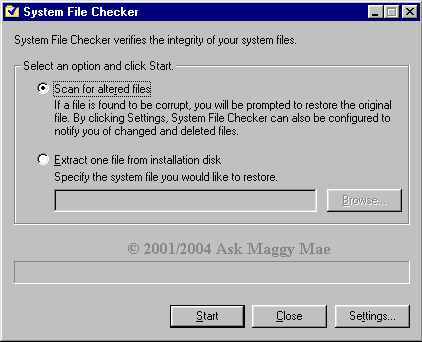 You are done, but you must reboot your machine, choose yes in this window. 11. After rebooting your file is restored.